Life is full of ups and downs and most people report feeling stressed these days. According to the 2006 Stress & Anxiety Disorders Survey of the Anxiety Disorders Association of America, 72 percent of people who have daily stress and anxiety say it interferes with their lives at least moderately. Forty percent of people experience persistent stress or excessive anxiety in their daily lives. Most people need some time to be alone, to reset, center and relax. A sacred bath is a bath that includes essential oils, crystals, intention, meditation and prayer. It just takes 25 minutes and provides a most impactful experience that facilitates personal transformation. While a regular bath is for your physical hygiene, a sacred bath is good for your spiritual, emotional and mental hygiene. Essential oils: Essential oils have a very high vibration and many experts say that they cleanse your aura, which affects what you attract. Also, some people say that essential oils enter the bloodstream and oxygenate your body, improving your health. Smell affects your emotional state through the limbic system, so essential oils can improve your mood and relax you. Deep Breathing: Deep breathing puts you into your relaxed nervous system instead of the fight-or-flight nervous system that you are normally in when you feel stressed. This is a way to literally feed yourself oxygen and love. Deep breathing expands your consciousness and increases guidance. It’s a tool that you can use repeatedly to revitalize your body. It’s easy to spend the first few minutes in your sacred bath doing some deep breathing from your abdomen. This is very relaxing for most people. You can imagine breathing in peace and love and breathing out any stress. This process often creates a feeling of peace and well-being. Divine Support and Guidance: People often experience stress when they feel helpless, overwhelmed and lack support. You can always ask for help from your higher Self or from the Divine. These are peaceful, loving energies. You can do a meditation in which you release your worries to them, allowing them to fill you with love and peace. Afterwards, if you get any useful messages you can journal about them. Epsom Salt: Epsom salt removes toxins and relaxes you. You can soak in it and imagine all your worries going down the drain. Releasing Negative Thoughts: Worry consists of repetitive negative thoughts that eventually affect your mood and physiology. Plus, they aren’t constructive. So, you can use your sacred bath to release these negative thoughts and to replace each one with something positive. If you are thinking about something you cannot do anything about, then agree to just release it for today so that it doesn’t unnecessarily drain your energy. When you shift your thoughts to something positive, this affects your mood, stress level and physiology. I hope that these tips about the benefits of taking a sacred bath to address stress were helpful. Stress is common, but if you are having panic attacks or cannot address your chronic stress alone, please consider seeing a therapist. These sacred baths are a regular tool for wellness for high functioning people. They are not a clinical prescription for anxiety, which needs to be addressed within a psychotherapy treatment. 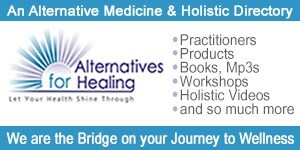 Dr. Paulette Kouffman Sherman is a licensed psychologist, dating coach and author of The Book of Sacred Baths (Llewellyn), Dating from the Inside Out (Atria Books) and others. She won 15 book awards and her books are translated into five languages. She's a monthly expert in JDate's JMag and on Eligible Magazine. She's been an expert on television like the CBS Early Show & the AM Northwest Early Show and a radio guest on the Curtis Sliwa show, Pathways and others. She has a psychotherapy practice in Manhattan and does dating coaching by phone. 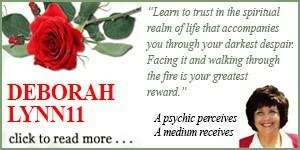 To learn more, visit www.drpaulettesherman.com and www.sacredbathing.com.